MEXICAN MAC AND CHEESE can’t be beat! No need to fool with a tricky cheese sauce when you have this secret ingredient making things extra creamy and delicious. Spicy sausage and green chiles make this baked macaroni and cheese recipe soooo tasty! Mexican Mac and Cheese is the ultimate easy comfort food. You guys know I love a good easy recipe, and this delicious baked macaroni and cheese is one of my favorites. 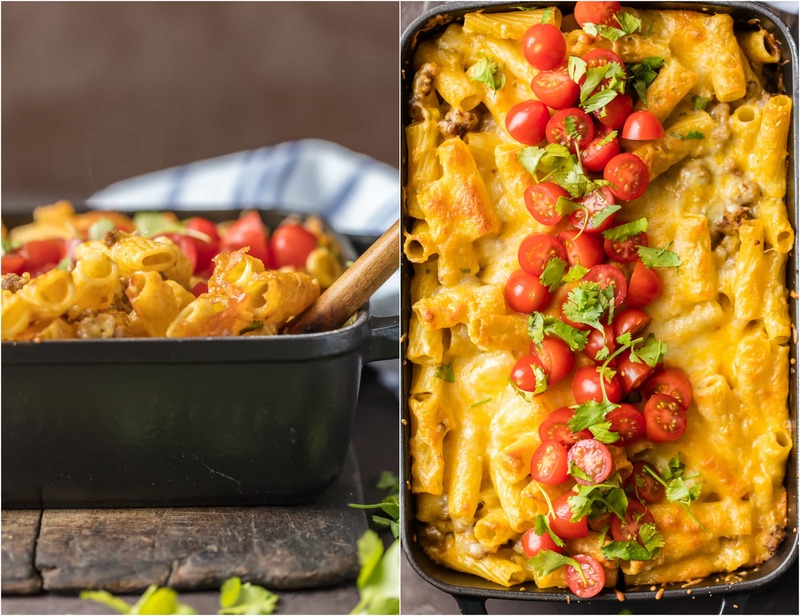 I LOVE Mexican dishes, so bringing all those flavors into an easy mac and cheese bake makes the perfect weeknight meal! 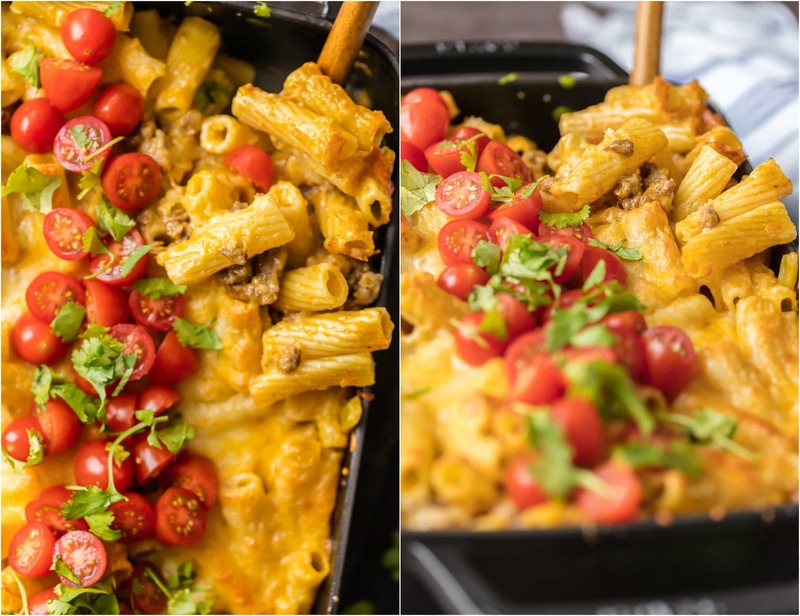 Mac and cheese is one of those dishes I could eat any time, but I love changing it up from the classic recipe and adding in different flavors to make it even better. I’ve made King Ranch Chicken Mac and Cheese, Pumpkin Mac and Cheese, Slow Cooker Macaroni and Cheese…the list goes on! This tasty Mexican Mac and Cheese is a welcome addition to the family. This baked macaroni and cheese is sure to please the entire family. It’s full of flavor with none of the fuss! You don’t even have to make a cheese sauce or a roux…so it’s a total win win. It comes out of the oven so creamy, cheesy, and delicious, you’ll be surprised you didn’t slave away in the kitchen all day! 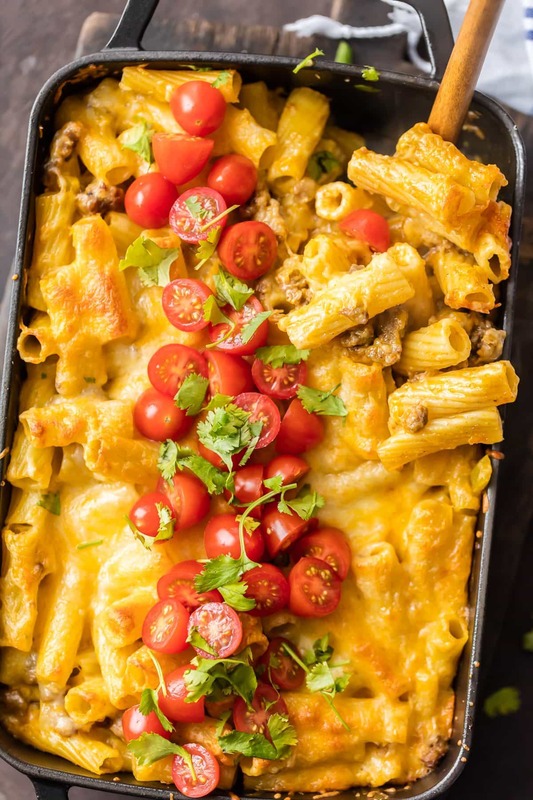 This Mexican Mac and Cheese is one of the best baked macaroni and cheese recipes ever! 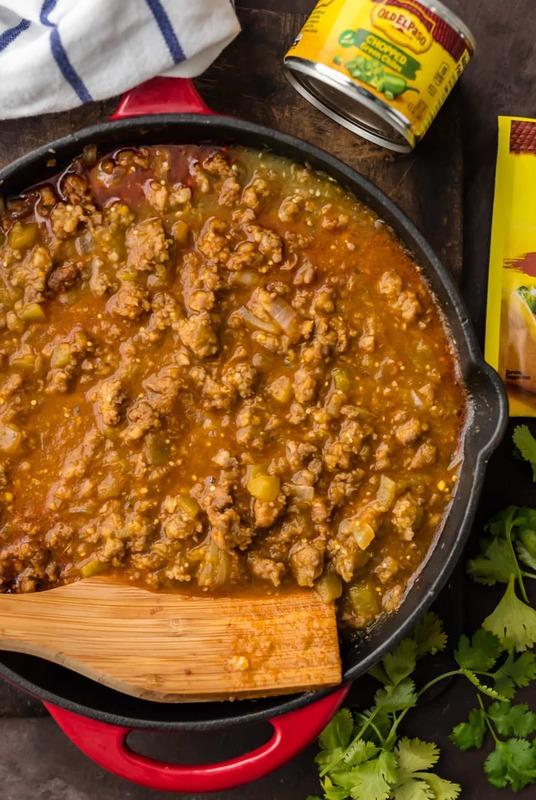 Filled with cheese, sausage, green chiles and more, you’ll LOVE the flavor of this dish. This Baked Macaroni and Cheese recipe wouldn’t have nearly as much flare without my fave products from Old El Paso! I use their Taco Seasoning and Chopped Green Chiles (Baked Chicken Tacos anyone?) in so many recipes and they never disappoint. 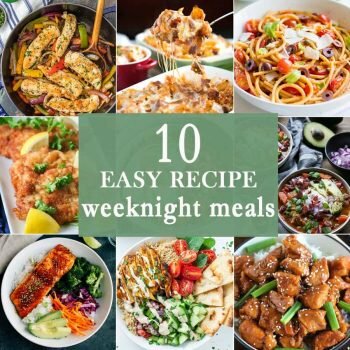 They make cooking at home flavorful and delicious every time. I can feel like a chef with very little effort. My type of recipe! 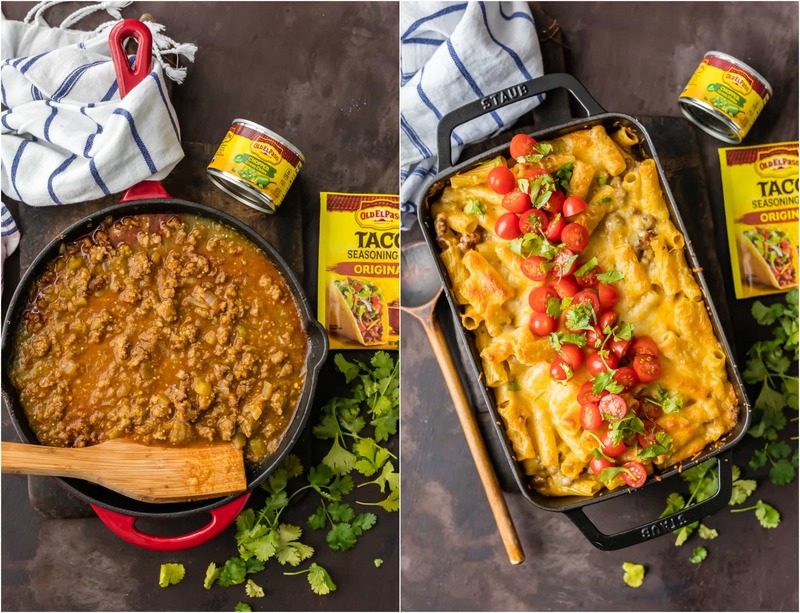 This Baked Mexican Mac and Cheese is layered with spicy sausage, green chiles, salsa verde, and cheese…LOTS OF CHEESE. You know I wouldn’t have it any other way! This recipe is utterly delicious and oh so simple. 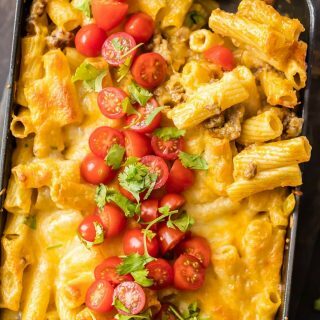 This easy Mexican Mac and Cheese bake is super simple to make. 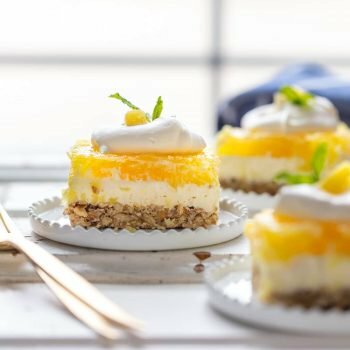 You cook most the ingredients separately, and then combine them in a casserole dish and bake it all together. I love the way the cheese melts into everything and brings all together into one melty dish! If you prefer a spicier version of this Mexican Macaroni and Cheese, you could always use hot sausage, stir in some jalapeños, or use pepper jack cheese instead of Mexican blend. The possibilities are endless! See the recipe card below for full instructions. 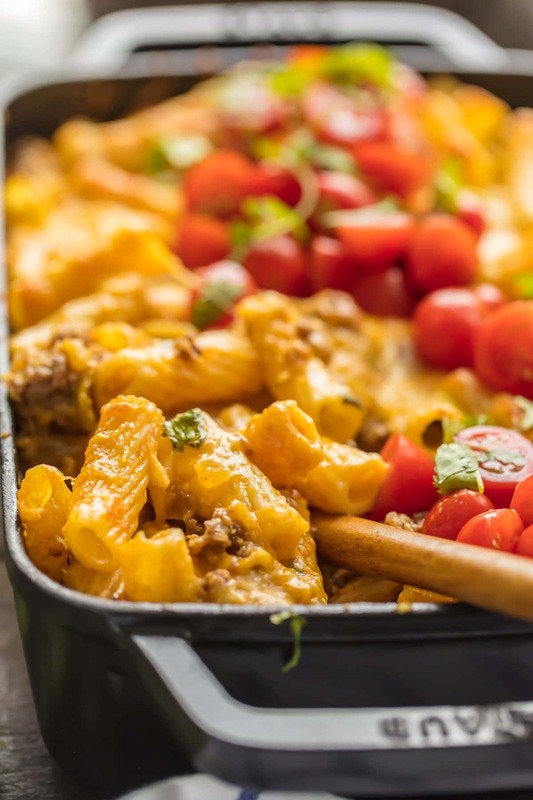 This easy mac and cheese bake is SO simple and SO tasty. I love the flavor of this Mexican Mac and Cheese and just can’t get enough it. I know you’ll love this baked macaroni and cheese recipe just as much as we do. So cheesy and delicious! Watch the Video & See the recipe card below for How to Make Mexican Mac and Cheese. Enjoy! MEXICAN MAC AND CHEESE can't be beat! No need to fool with a tricky cheese sauce when you have this secret ingredient making things extra creamy and delicious. 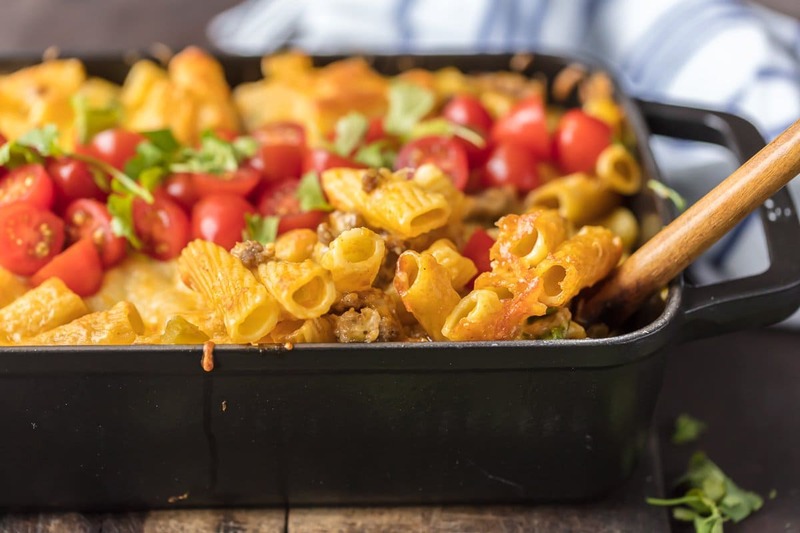 Spicy sausage and green chiles make this baked macaroni and cheese recipe soooo tasty! Preheat oven to 350F. Spray a 9x13 baking dish with nonstick spray or line with foil and set aside. In a large pot of salted water, cook pasta according to package instructions. While pasta is cooking, prepare the sausage. In a large skillet, heat oil over medium/high heat. Add in sausage and onion, crumbling the sausage while it cooks. When the sausage is almost cooked, add in the taco seasoning and green chiles. Once sausage is fully cooked, remove from heat and stir in the salsa verde. Set aside. Once pasta is al dente, drain and return to the pot. Pour in the sausage mixture and stir to combine. Pour half of the pasta/sausage mixture into the baking dish and top with 8 ounces of cheese. Cover with the remaining pasta/sausage mixture and then finally top with the second 8 ounces of cheese. No need to stir. Bake for 30-35 minutes or until fully melted and bubbly. Top with diced tomatoes and fresh cilantro. This looks sooo hearty and delicious! I have to have tomatoes (especially sweet stewed tomatoes, yum!) when I eat mac ‘n cheese! Oh, now this looks like one filling, delicious meal! YUM! Macroni is my favorite all the time. 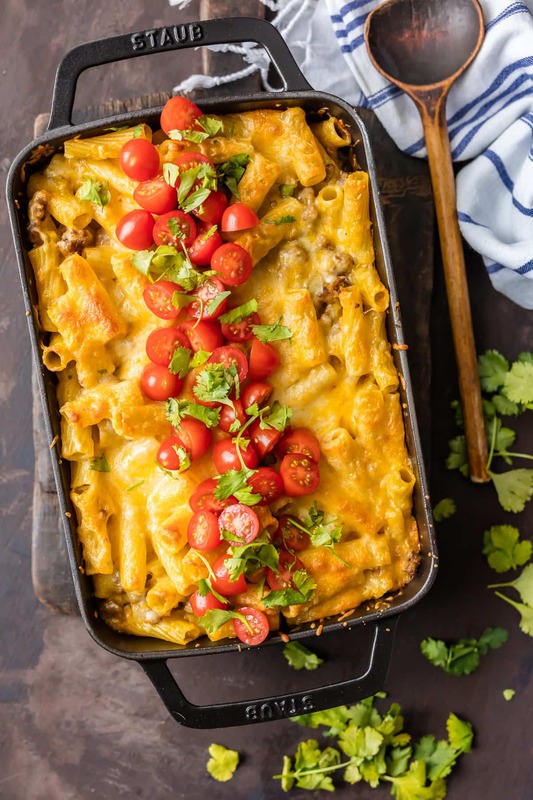 I would like to try this BAKED MEXICAN MACARONI AND CHEESE. But i have no idea about how to use Cheese. I did not prepare macroni with cheese yet. And not sure about how tasty it will be with cheese. This is very good. I added some ground turkey and an extra slice of cheese.